Whether you’re making a first impression on a prospective client or entertaining a client you’ve had for years, your business will benefit with the corporate limousine service of White Rock Limo. Their luxury vehicles and private chauffeurs will help you close deals and strengthen partnerships in comfort, class and style. From airport transfer for clients visiting from out of town, to Vancouver or anywhere in Fraser Valley including Vancouver, Burnaby, New West, Port Moody, Coquitlam, Pitt Meadows, Maple Ridge, Mission, Abbotsford, White Rock, Aldergrove, Cloverdale, Surrey, Delta, White Rock, Ladner, Tsawwassen and Richmond for hosting a corporate party, this White Rock limo service is available all over the Metro Vancouver.? For a client flying in from out of town, you want his travel plans to be as easy as possible. The last thing you want is him waiting around at the airport for a ride, or him renting a car himself and trying to navigate the roads in a foreign town. His head needs to be in the same place yours does on the purpose of your meeting, not the logistics of getting there. That’s something you can arrange for him beforehand with reliable, on-time White Rock airport transportation that’s like your clients? own personal taxi limousine shuttle. The chauffeur will bring the client to you or pick you up first so you can greet your client at the airport for an extra touch that’s both personal and professional. 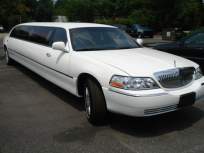 Of course, corporate limo service for visiting clients need not be limited to White Rock airport transfer. Pamper your client throughout his visit for ultimate impact. That means scheduling your clients? taxi limo shuttle for trips to and from his hotel, your office, restaurants and anywhere else your client might need to go. You can join him as often as you like, ideally taking the time to entertain your client with all the must-see sights in the Valley. Just think of all the progress you can make with your client personally and professionally tooling around town with ease while having fun. We at White Rock Limo understand and welcome the special needs of Canada business executives, and as such, we offer exceptional corporate transportation packages. Patient and experienced drivers, highly valued for their professional skills and lavish attention to passenger needs are ready to serve you. We maintain close contact with our courteous, reliable, and well dressed chauffeurs at all times so regardless of any travel changes or special needs they are always on time and well informed.